Too Little, Too Much | Hidden Brain We all know the downsides of being poor. But what about the downsides of being rich? This week, we explore the psychology of scarcity...and excess. I'm Shankar Vedantam, and this is HIDDEN BRAIN. BRANDY DREW: My name is Brandy Drew (ph). I'm from Detroit, Mich.
VEDANTAM: Brandy Drew has a story that may sound familiar to you, a story of poverty and debt. It's the kind of story that may lead people to quick conclusions. So pay attention to your own. Brandy is now in her late 30s. A few years ago, her life unraveled. At the time, she ran the dining services department at a senior living facility. She'd been with the company that ran it for more than a decade. One day, she made a mistake. DREW: I was just in a rush to get home. That was all - because day care closes at 6. I get off at 5. It was, like, maybe a 10-mile drive, busy traffic area. And I knew I had to pick up diapers, and the easiest thing for me I thought would be to pick them up before I picked the baby up. VEDANTAM: So Brandy stopped at a store, ran in and grabbed the diapers. She swiped her credit card at the self-checkout station and raced out. It turns out, she used the wrong card - not her own, but the company credit card. DREW: But what's crazy is I didn't realize at that moment. I didn't realize until my supervisor called me in and said, hey, what's this purchase? So had she not said anything, I don't think I would have realized that. VEDANTAM: Brandy carried the card in case she needed to buy dining supplies for work. She'd never had a problem before, never been reprimanded. She thought an apology and an explanation would do. DREW: And her response was, well, you know we have to terminate you. And I'm like, no, I didn't know that. Like, can I just pay you back? It was only - what? - 12 bucks. And she said, no, in cases like that, you automatically have to terminate the employee. I just cried. I cried for, like, a whole day because I couldn't believe it. I didn't want to go home and tell my kids what had happened. I didn't want to tell my husband what had happened. I just didn't know what to do at that point. I felt like - I felt like a failure as a parent because I didn't provide a good example, even though it was a mistake. VEDANTAM: Brandy earned more than her husband, so the loss of the job hit hard. She felt like a loser. She tried to bring in money doing odd jobs, like cooking take-out meals. But the stress grew. Brandy and her husband began fighting. She had supported him when he'd been laid off a few years earlier. And she'd expected he'd do the same for her. But he felt the situation was different. He'd been laid off. Brandy was fired. He was mad that she'd made a stupid mistake. DREW: The final argument was that I left out the house that morning. I was going to job interviews. I had two interviews that day. And I didn't purchase toilet paper. So when he got home from work that day, there was no toilet paper. When I came in with the kids, he just immediately started yelling, you can't keep yourself together. You can't do this. You can't do that. So I walked right back out the door, and I never looked back. VEDANTAM: Without steady employment and a husband to help with bills, Brandy watched anxiously as her household supplies dwindled. She worried constantly about money. To make ends meet, she ordered a new credit card. The day it arrived, Brandy tore open the envelope. She grabbed the card and ran out the door. DREW: I went straight to Wal-Mart. And I bought, like, a family size of toilet paper, family size of laundry detergent. Like, I stocked up on things all at once whether (ph) than keeping it handy just in case. So I, like, maxed it out within the first couple of days that I had it rather than holding on to it for emergency purposes. VEDANTAM: And in that moment, as she was maxing out the credit card on the household supplies she needed, Brandy forgot about things that were slightly less pressing. DREW: What I didn't think about is, what about gas money? I didn't consider what gas would cost. That was, like, the biggest thing. It was always hard to have gas. VEDANTAM: And of course, there was the credit card bill itself. DREW: The first two months, I paid the minimum payment. And then I just stopped paying because I couldn't afford to pay. I didn't pay that card off until I got my tax refund the following year. By the time I paid it off, it was over $800 for a $500 card. VEDANTAM: More and more, Brandy felt trapped by debt. She no longer had options. It came down to, pay the bills or feed the kids. DREW: It's just overwhelming trying to juggle all of those things and still maintain a certain state of mind so that my children wouldn't see me struggle. VEDANTAM: In retrospect, Brandy can see the mistakes she made. If she had made a budget for the whole month, she might have remembered she needed to account for gas. If she had focused on the big picture, she might not have maxed out a credit card she couldn't afford to pay back. Why did Brandy make these mistakes? It's easy to say she was being irresponsible. But here's the thing. She had always been careful and conscientious. Did something cause her to behave differently? To understand why she did this, I want to take you to a completely different time and place because it reveals something important about Brandy's story. It's 1944. World War II is nearing its end. Europe is on the verge of mass famine. Aid workers desperately need guidance on how to bring people back from the brink of starvation. Researchers at the University of Minnesota thought they could help. They launched a year-long experiment. As a 2002 documentary made by the University explains, the volunteers were conscientious objectors who still wanted to serve their country. The experiment, the volunteers had to go on a starvation diet. UNIDENTIFIED WOMAN: Thirty-six young men, most of them Quakers, Mennonites or Church of Brethren members, moved into the south tower of the Memorial Stadium, which would be their home for a year. Many took courses at the university, even as they grew thinner and thinner. VEDANTAM: The young men became walking scarecrows. Some grew so weak and bony, they couldn't sit without cushions or raise their arms to wash their hair. HENRY SCHOLBERG: I remember being a little bit critical of guys in (unintelligible) who would lick their plates. I thought that was really pretty crude. VEDANTAM: Henry Scholberg was one of the volunteers. He recalled the experience in the documentary. SCHOLBERG: By the time we were into about the second month of it, I was doing it myself. You just needed every single calorie you could get your hands on. VEDANTAM: The results of the starvation experiment were eventually published and remain an important academic reference on nutrition, famine and eating disorders. But recently, two researchers became intrigued with the 70-year-old study for a completely different reason. They were interested in what the lack of food did not to the body, but to the mind. SENDHIL MULLAINATHAN: I think this type of scarcity is almost like an alarm that goes off in the head that's saying, hey, we really need this thing addressed. We really need this thing addressed. VEDANTAM: This is Sendhil Mullainathan, an economics professor at Harvard. He and a colleague, Eldar Shafir, a psychology professor at Princeton, had a theory brewing. It went like this. When you feel that something important is missing in your life, your brain starts to focus on that missing thing. When you're really desperate for something, you can focus on it so obsessively, there's no room for anything else. The researchers were just beginning to explore their hypothesis when a colleague mentioned the long-ago Minnesota starvation experiment. Eldar remembers being immediately fascinated by the study and how the lack of food affected the minds of the men. ELDAR SHAFIR: They basically were very hungry and could - couldn't stop thinking about eating. You know, in some sense, you'd think, given that they cannot eat, they'd rather be distracted with other things. But in fact, both subconsciously, the level of need-it (ph) reaction, and their choice of conversation largely was around food. Actually, it was sort of tragicomic. I mean, they planned to open restaurants, to become restaurateurs. They memorized recipes. They compared food prices of different newspapers. That's what they were doing. The whole time, they sat around looking at food-related issues. VEDANTAM: Even intentional diversions didn't work. Hunger and food had captured their minds. SHAFIR: At some point, the experimenters just felt sorry for them and decided to distract them with a movie. And some of the testimonials were, they showed me this movie. I couldn't care less about the love scenes. I wanted to see the meals. VEDANTAM: Eldar suddenly realized he had seen the same kind of behavior in a completely different setting. He'd done a lot of research on the effects of poverty. And he knew poor people who sometimes behaved like the starving men in Minnesota. SHAFIR: The poor, people who are lacking financial resources, find it very hard to think about anything but money or at least spend a lot of their cognitive resources, a lot of their attention, on financial juggling. VEDANTAM: If starvation made people obsess over food, poverty made people obsess over how they were going to make ends meet, how to make it to next week. SHAFIR: What's in common in both cases is your head is busy with the thing you don't have enough of. VEDANTAM: The two researchers felt they were on to something. Maybe, they thought, the human brain is wired to respond to scarcity by tunnelling in on the thing that's missing. Sendhil says this makes sense from an evolutionary perspective. MULLAINATHAN: Picture that you have somebody from 25,000 years ago who's basically a hunter-gatherer and who might need to do a variety of things such as, you know, get water, do - you know, a lot of resources are needed. When they get hungry, it's sort of the evolutionary system wants to have an alarm that says, hey, really focus on getting food into the system. And that, I think, is the basic scarcity instinct. We're hungry. And then this thing starts going off in the head saying, do you realize we're hungry? Have I mentioned we're hungry? We're hungry. And it just keeps calling out to you. VEDANTAM: For Brandy Drew, the alarm might have sounded like this. You don't have the necessities your family needs. You need to stock up. Stock up now. You need these things. And when she bought the bleach, the family-sized pack of toilet paper, the snacks and juice boxes for the kids, the alarm temporarily went silent. DREW: I felt relieved that those things - the small things I didn't have to worry about. VEDANTAM: But the reprieve from the alarm came at a huge cost. DREW: But then, like I said, two days later it's like, OK, wait a minute. Why didn't you save at least a hundred dollars for gas? VEDANTAM: The answer to that question, Sandhil and Eldar believe, has to do with what scarcity did to Brandy. She was so focused on getting the basic necessities that she didn't have the mental capacity to attend to anything else. There's a technical term for this. It's called bandwidth. If you're downloading a movie on your home Wi-Fi network, you might find your email runs a little slower. The movie is hogging all the available bandwidth. Sendhil and Eldar say our minds work exactly the same way. If your mind is consumed with thoughts about something, there isn't room to think about other stuff. Scarcity fills the mind with intrusive thoughts about what you do not have. It doesn't leave room for anything else. Eldar says there's a simple way to demonstrate this. Imagine trying to hold an eight-digit number in your head. SHAFIR: And if I simply ask you to keep in mind, you know, 2-6-7-1-7-1-6-4, that just leaves you less able to attend to other stuff. You eat less well. You pay attention to less things, et cetera. VEDANTAM: As you're saying that eight-digit number now, I didn't hear the rest of the next two sentences because I'm trying to remember that eight-digit number. (Laughter). SHAFIR: (Laughter) I won't test you. I promise. But in a sense, that's kind of the metaphor. So when you're busy juggling your resources, worrying about, you know, how am I going to pay for dinner? And if I pay for dinner, will I be able to have money for the kids' school trip? It's like keeping an eight-digit number in your head. VEDANTAM: There's a reason our minds work this way. Tunneling into something makes you focus on it. Everything inside the tunnel becomes crystal clear. The problem is you can't see anything outside the tunnel. People in the poverty tunnel are actually very good at figuring out how to stretch the money they have to make it to tomorrow or the next week. Studies show that the poor tend to be better than the rich at knowing where you can find the best deals, the cheap tube of toothpaste. Someone who is poor is often consumed with finding solutions to immediate problems. How do I get food on the table today? I'm not thinking about problems that are a few weeks away, like the utility bill or gas money or a credit card payment. SHAFIR: As you - as you're checking the prices and remembering the prices and figuring out if you buy two carrots, will you have enough money for breakfast, you are forgetting things. You're paying less attention to your rent, your kids' homework, to all of the other things that make life complete. VEDANTAM: The thing is, as a result of doing this, the underlying problem can become worse. If you don't pay your bills, you'll be even deeper in the hole next month. Scarcity, in other words, is a trap. MULLAINATHAN: The scarcity trap for us is all those ways in which scarcity today begets behaviors, which leads to even further scarcity tomorrow. And we think it's something that poor people do, busy people do. Here's another example. We think the lonely do this. So people who are lonely will often engage in social interactions in a particular way, which actually makes it harder for them to make friends. VEDANTAM: Just as the poor focus on the money they do not have, the lonely tend to focus on the friends they do not have. The result is they try too hard to be liked. In a conversation, the lonely person might be so preoccupied with making a good impression that he can't pay attention to what's actually being said. The conversation falters. Instead of appearing likable, he's seen as awkward or flatfooted. What happens as a result? People avoid the awkward conversationalist. And the lonely person becomes even lonelier. This lens offers a new way of thinking about why people who find themselves in scarcity seem to do things that, to an outsider, look stupid. When you're in a hole, why would you dig yourself even deeper? Sendhil says we're asking the wrong question. MULLAINATHAN: What if it's not that poor people are somehow deficient, but that poverty makes everyone less capable? That it's the - it's - you and I, tomorrow, were we to become poor, would all of a sudden have the same effect, that poverty is in some sense changing our minds. VEDANTAM: How do we know this isn't some bleeding heart theory to excuse irresponsible behavior? Eldar and Sendhil wanted to test their hypothesis. MULLAINATHAN: If all this is true, one thing that ought to be true is the same person when they're poor should have very different cognitive capacity than when they're rich. So how would we test that? Well, unfortunately we don't have the kind of money to go around making poor people rich. But sugarcane farmers actually create a natural experiment for us. VEDANTAM: Yes, sugarcane farmers, specifically those in India who are paid only once a year, right after the harvest. MULLAINATHAN: The month after they get that income, they're pretty rich. But like anybody who gets a huge windfall all at once, the money gets spent a little too fast. And so by the end of the harvest cycle, they're relatively poor. So now we have the same person, a month before harvest, poor, and a month after harvest, well-off. VEDANTAM: Again, you have the same group of people who are poor one moment and rich the next. Sendhil and Eldar tested the farmers on their long-term thinking when they had no money and when they had plenty of money. The results were stunning. MULLAINATHAN: We found a huge difference. So we found that post-harvest, when they're well-off, they have much more impulse control. VEDANTAM: Farmers who were rich tended to think about things that would help them over the long term. This matched other research that shows, for example, that farmers who are well-off tend to weed their fields more regularly than farmers who are poor. Farmers who were poor mostly focused on how to make it to next week, short-term thinking. To be clear, it's not that poor people focus on immediate needs because that's all they want to think about. It's all they can think about. Scarcity captures the mind, like it did with those starving men in Minnesota. In fact, scarcity can actually lower how you perform on an IQ test. MULLAINATHAN: Put simply, being poor is like having just pulled an all-nighter. VEDANTAM: Now, if you've been very lucky, maybe you've never experienced what it's like to be poor or hungry or lonely. But there might be another form of scarcity you have experienced. KATIE: On some days, we get to leave at 4 p.m. Some days, we don't leave till 1 a.m. (Laughter). So - and then you usually start the next day at 5:30 or 6 in the morning, usually work 80 hours-ish (ph) a week. VEDANTAM: When we come back, we'll find out how being overworked and exhausted can produce its own form of scarcity. 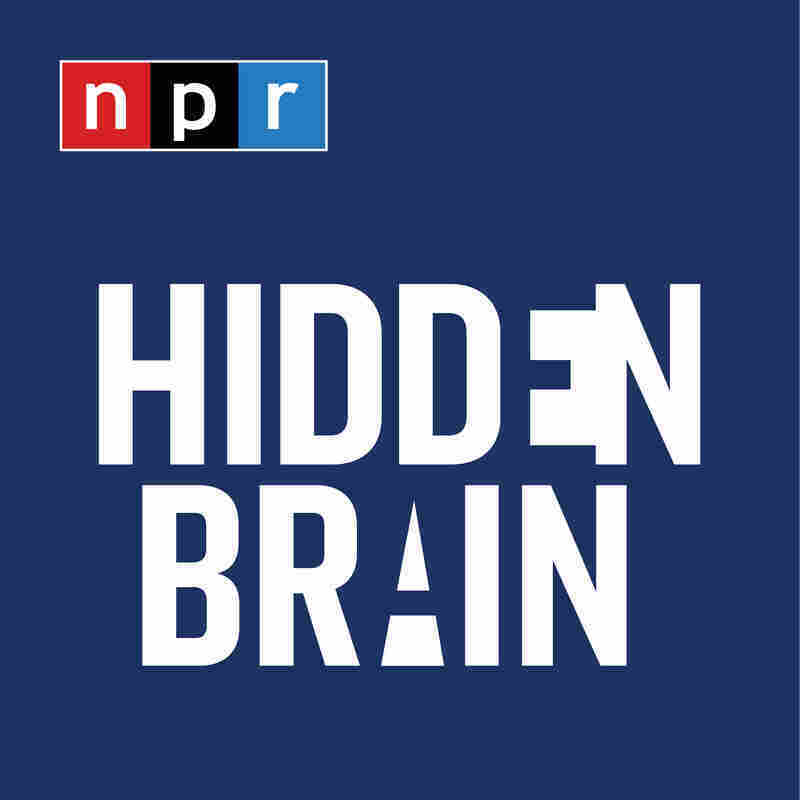 I'm Shankar Vedantam, and you're listening to HIDDEN BRAIN from NPR. VEDANTAM: This is HIDDEN BRAIN. I'm Shankar Vedantam. Eldar Shafir and Sendhil Mullainathan believe that when something you desperately need is in short supply, your brain tends to focus on that thing. This focus can be so intense that it impedes your ability to think about anything else. What happens when the thing you're missing is time, when you're so busy it feels like you don't have time to breathe? Let me tell you the story of a young woman named Katie (ph). She asked us to use her middle name for reasons that will be clear in a moment. For as long as she can remember, Katie has been driven - really driven. KATIE: When I was in high school, I was determined to be valedictorian. So I took a sophomore-level honors biology course as a freshman in high school. And I studied around the clock. I had note cards. I walked through the hallways with the note cards. If there was a holiday party, I brought the note cards. And I'd also study till 2 or 3 in the morning. VEDANTAM: Katie says she wanted to be perfect at school. She eventually got to medical school, where she excelled. She graduated at the top of her class and quickly started her residency. The new schedule was grueling. KATIE: You can get in at 5:30 or 6 in the morning, and you round on all your patients. And then you - you round with the team. That means you go to all the patients and check in on their plan and adjust medications, et cetera, as necessary. And then there's usually a lunch conference, where we have education. And then in the afternoon, we might take new patients in and keep following up on our patients. And on some days, we get to leave at 4 p.m. Some days, we don't leave till 1 a.m. (Laughter). So - and then you usually start the next day at 5:30 or 6 in the morning again. And you get one day off a week, usually work 80 hours-ish a week. VEDANTAM: As Katie's workload grew, she started to feel she couldn't afford to waste a single moment. Instead of spending any time relaxing, she started to focus only on things directly related to her success at work. KATIE: When I first started, it was just, like, really busy. So I'd try to come home, and I felt like, you know, I just don't have a lot of hours. So I need to make the most of them and was like, OK, I need to make sure I'm exercising, keeping my body healthy. And I need to read and stay on top of things. So I'd come home after a pretty long day, and I might go walking for half an hour. And then I'd read. And then I'd go to sleep. But then, as the time went on, I decided to try to get in more exercise 'cause I'm like, I never know when I'll get enough exercise in. So I started spending all my free daylight hours walking or running outside or going to the gym, up to three hours a day, plus, like, working 15-hour days and then trying to read and then go to sleep. VEDANTAM: As she focused intensely on the things she believed were key to her professional success, Katie lost sight of things on the periphery. She didn't know it, but she was entering the tunnel of scarcity. In her case, it was scarcity brought on by a lack of time. KATIE: So I wasn't going to the grocery store. My house wasn't unpacked yet. And it was stressing me out. And it was just a mess. And I've - my clothes piled up. I had a lot of dirty clothes. And coming home just felt so overwhelming. I didn't want to be there. And that's part of, I think, why I was walking so much, just to get out of the house and get away from all the things I hadn't done. And I also forgot to pay a bill in the midst of all of this. VEDANTAM: What did you forget to do? What bill did you forget to pay? KATIE: It was my energy bill. VEDANTAM: The old Katie would have spotted all of this. I mean, you were just basically, at this point, almost falling apart it sounds like. KATIE: I was. I was falling apart. VEDANTAM: There was something else. Katie had battled anorexia as a teenager. She knew she had to stay vigilant about her eating. But as she started to focus ever more intensely on work, she slipped back into some old habits. KATIE: I was eating mostly vegetables and fruits. And I wasn't eating a whole lot else, maybe a cliff bar here and there. VEDANTAM: Despite all of her medical training, Katie stopped taking care of herself. Here's one thing I haven't told you yet about scarcity. It can rob you of insight, insight about how your own mind is changing. Katie had no awareness that she was heading down a dangerous path. It became obvious to her only when it finally affected her work. KATIE: I started to notice that I was, like, nearly missing things as I was reviewing. For example, I admitted a diabetic. And I almost didn't order insulin for them. But I did order the insulin. But I was like, I don't think I can keep up with this anymore because if you don't give a diabetic insulin - especially if they're Type 1 - they can have very fatal circumstances in the hospital and get really high blood sugars that can cause them to have an acidosis and end up on a ventilator. So I turned myself in at the point that I saw that it was starting to affect my work. KATIE: Learn how to just sit because we weren't allowed to exercise. We weren't allowed to stand. We weren't even allowed to do jumping jacks or squats. We had to just sit. VEDANTAM: Katie's mind was filled with angry and impatient thoughts. KATIE: At first, I felt like - I felt useless because I thought, you know, if I'm not doing something productive, what is my purpose in life? VEDANTAM: But gradually, as the program literally forced her to do nothing, Katie started to emerge from the tunnel. She realized she had been so narrowly, relentlessly focused on one goal, doing well at work, that she had ignored the very things she needed to succeed - moments of relaxation, like watching TV or in her case, painting. Katie had loved art as a child. But she had put it aside because she thought it wouldn't help her become a better doctor. KATIE: I'm kind of the type of person that just likes to study and then do after I've, like, mastered it from a study point of view. And so to just do something without instruction is - it feels very vulnerable to me. But it ended up kind of being my saving grace in my recovery. And I've actually created an art room in my house. I changed my office from a work room into an art room. And it has paints and watercolors and chalks and everything you can imagine. And I try to go in there once a week and just create something without any expectation, just for the purpose of creating it because I can. VEDANTAM: Katie eventually returned to her residency program with a new outlook. She started doing something that Eldar and Sendhil recommend to all busy people. She actually pencils time into her schedule to do nothing. KATIE: One of the big things I've done is I kind of have a date night with myself once or twice a week, where I just schedule off the night. And I won't do anything with anyone else. And it'll just be free for me to do what I feel like. It might be watching a movie. It might be taking a soak in the tub and reading a book or being in my art room and painting whatever comes to me. But I do - like, I prioritize that. And I actually won't accept plans with friends, generally, when I do this. So that's one of the things I do. VEDANTAM: Katie is consciously freeing up bandwidth. And something strange has happened as she's done so. The less consumed she feels about work, the better she does at work. KATIE: Honestly, like, it's kind of incredible. But at work, my brain has increased its capacity fourfold. I am able to hold so many more things in my consciousness at once and manage them. I've just seen a really huge improvement in my ability to enjoy being in the company of others, to enjoy, like, occasions and to enjoy my work and do well at my work. VEDANTAM: While the psychological studies into scarcity and bandwidth are relatively new, the ideas are actually ancient. Avoid tunnel vision. Keep difficult things in one part of your life from contaminating everything else. Be present. MULLAINATHAN: Say you have a big deadline tomorrow for something you've got to finish. You go home, and you're spending the evening with your kids. And in that moment, you're not present-focused at all. What you're focused on is that deadline. You - you may go through minutes where you didn't hear what your kids were saying to you because your mind keeps going to this other thing. VEDANTAM: Tunnel vision is not in itself a good thing or a bad thing. Shutting out distractions can be helpful at times. The question is, do you know when you're inside the tunnel? MULLAINATHAN: To me, that's exactly the heart of managing scarcity. It's recognizing when you're trying to do something related to your scarcity where you really want to use that instinct. And when have you made a conscious decision to do something else where what you really need to do is to not have it intrude on that something else? You're at home. You're with your kids. You chose to be a parent for that three-hour period. You really don't want scarcity to intrude then. VEDANTAM: Of course, it's easy to say, build free time into your schedule. Stay present with your family. Take a vacation. These strategies presume you have choices. MULLAINATHAN: You can't say, I've had it with being lonely. I'm going to take a vacation from being lonely. It's not a choice. And to me, loneliness and poverty are the forms of scarcity that feel the biggest because while all these forces are at play, there's no release valve. There's no escape mechanism. VEDANTAM: Eldar and Sendhil want policymakers to design solutions that recognize how scarcity creates traps from which many people may not be able to extricate themselves. And they want the rest of us to stop preaching to those in poverty. SHAFIR: If you look at programs of poverty, we often confound a little bit the attempts to help the poor with the attempts to educate them, make sure that they show up on time, that they do the right things. From the perspective we're taking with scarcity, in some sense, if I'm very busy juggling a very complicated life, insisting that I show up at the office at 8 and not 8:05 is not doing me a favor. I don't need to be educated. It's just hard to manage. I'm - you know, it's just the transportation is not reliable. My kid is not ready. I don't have a babysitter. I'm going to make mistakes. It's not clear "educating me," in quotes, about things is going to help me at all. It just makes my life all the more complicated. VEDANTAM: When people in poverty fail or make mistakes, the researchers think we should respond to them the same way we respond to mistakes made by airline pilots. There was a time not long ago when we thought that airline pilots who made mistakes were just bad pilots. Sendhil says a big reason air travel has become safer in recent decades is that there has been a shift in thinking about such mistakes. Designers have made cockpits fault-tolerant. Rather than trying to find perfect pilots, cockpits are now designed to account for human error. The goal is to alert pilots when they've made a mistake and to diminish the consequences of mistakes. MULLAINATHAN: It's ironic that when we design cockpits, the entire mantra of fault tolerance seems so intuitive. But when we design social policies, nobody's out there talking about, let's make this fault-tolerant. I mean, you know, poor people have a lot on their mind. Their bandwidth is taxed. They're going to make mistakes. Let's make sure this program is robust when they do make that mistake. It's just not the way we think. If I offer a training program, I don't sit there and say, let me make sure, you know, what's going to happen? This is for low-income individuals. Surely, they're going to miss a few days because, you know, it's hard to get to class sometimes or other things are on their mind. So let me design this curriculum so that it's in-attendance (ph) tolerant. So even if somebody misses three days in a row, they'll be able to come on that fourth day and still feel caught up. In fact, our training curriculum is often quite the opposite. If you miss three days in a row, it's an invitation to miss the fourth day because you're not going to get anything. VEDANTAM: Brandy Drew eventually turned her life around. She found a low-income assistance program that offered her help. She worked with a financial counselor who gave her strategies for budgeting her money and keeping track of long-term priorities. DREW: I actually have a calendar now that I write down everything to make sure I'm paying things on the correct day and time. VEDANTAM: It's taken time and little steps, but Brandy is no longer in the scarcity tunnel. She's been working for a few years now. And she has savings. DREW: I know that if anything happens - God forbid, if I lose this job - I know that I can survive for at least six months if I have to look for another. VEDANTAM: Eldar and Sendhil themselves say that they are constantly trying to keep the lessons of scarcity front and center in their own lives. As a busy academic, Eldar has come up with a rule. When an invitation to an event two months down the road comes along, he asks himself whether he would attend the event if it were tomorrow. If the answer is no, he declines the invitation because his life is not going to be any less hectic two months from now. Preserving bandwidth takes conscious effort. Most of us, Eldar included, are going to violate the Eldar rule. We'll say yes to new commitments when we don't have the time or pull out a credit card when we can't afford it. In those moments, it's important to look up to notice we are inside a tunnel. VEDANTAM: After the break, we're going to switch gears and move from scarcity to excess. It turns out that having too much can have its own set of problems. BROOKE HARRINGTON: When you're really wealthy, it's not uncommon to have the experience that everyone is out to get a piece of you. So it breeds a kind of suspicion. Why are you being nice to me? Are you just trying to get me to give you something? VEDANTAM: I'm Shankar Vedantam, and you're listening to HIDDEN BRAIN. This is NPR. VEDANTAM: This is HIDDEN BRAIN. I'm Shankar Vedantam. Have you ever wondered what it's like to be rich? AMY RYAN: (As Heidi Strand) I'm taking Oliver for a detox in the Hamptons. Standardized testing has really stressed him out. TINA FEY: (As Liz Lemon) Why are you wearing a tux? ALEC BALDWIN: (As Jack Donaghy) It's after 6. What am I, a farmer? JESSICA WALTER: (As Lucille Bluth) I mean, it's one banana, Michael. What could it cost, $10? VEDANTAM: Most of us will never know what that's like. But if you've ever been at least a little curious about the lives of the uber-wealthy, this next segment is for you. VEDANTAM: Brooke Harrington is a sociologist at the Copenhagen Business School in Denmark. Several years ago, she decided to explore the secret lives of billionaires. Her strategy, become a wealth manager. Brooke discovered that in order to manage money for the super-rich, wealth managers learn a lot about the private lives of their clients and the very different set of rules that govern their world. VEDANTAM: Brooke Harrington, welcome to HIDDEN BRAIN. HARRINGTON: Thank you for having me on the show. VEDANTAM: For wealth managers to do their job, Brooke, I understand that they need to find out everything about a client's life, not just a client's financial life but everything about their life. Give me some examples of the kind of conversations people have with wealth managers and the kind of issues they bring up about their personal circumstances that might affect how their wealth is managed. HARRINGTON: Well, it usually starts with what's called know-your-client activities. So if you were to come to me with me acting as the wealth manager, I would first ask to see some proof of identity, like your passport. And then we would talk about what goals you had for your wealth. And that begins the series of increasingly delicate and increasingly intrusive questions. Then usually we get into whatever real reason is bringing you to me. Maybe you want to avoid your taxes. Maybe you really don't like your family. That's surprisingly common among wealthy people. For example, if you have a relative or if you yourself are engaging in some activity that might get you extorted - it may not be illegal, but it might be socially shameful - that's a financial risk that your wealth manager needs to know about. If you have a son or daughter with a drug problem, that's a financial risk that your wealth manager needs to know about. There can also be issues like, I think I'm headed for a divorce, but I don't want my spouse to get half my assets. How do I hide those assets, preferably offshore, so that whatever is legally provable as mine is such a small amount that it's not worth fighting about? VEDANTAM: So it's really interesting because these professionals in some ways get to know their clients better than the client's own family or friends or even their own spouse. HARRINGTON: Yes. It's apparently something of a cliche in the offshore world that the average client is a man in his 50s with a secret family somewhere. Might be a gay lover, might be a common law wife and some children. But there are usually all sorts of secrets that these wealthy folks wish to keep hidden, and that they have the additional privilege of being able to hire people to take care of in secret. VEDANTAM: So I understand you conducted about 65 interviews in 18 countries for this book. Tell me a little bit about the people you met. To be a wealth manager, you have to understand financial law. But this kind of role also calls for a certain psychological makeup. What kind of person becomes a wealth manager? HARRINGTON: Well, several of the people I spoke to described themselves in only somewhat joking terms as social workers for the rich. HARRINGTON: So you have to have empathy and a desire to help people but also a very high tolerance for people who would otherwise seem to be so extremely privileged that you might be otherwise inclined to smack them around and say, snap out of it; you're lucky. VEDANTAM: You write in your book about the extreme lengths that some managers go to please their clients or to provide services to their clients. You write about a manager named Eleanor (ph) in Geneva, who said that one of her clients once called her from outside a restaurant in London. Tell me that story. HARRINGTON: So this is one of the first stories that I heard that really made my eyebrows raise. It was while I was training to be a wealth manager. Eleanor told this story over lunch of receiving a phone call from a client who was in another country saying, I've just lost my bracelet outside of a restaurant. Help me find it. And the client didn't identify the restaurant by name. HARRINGTON: So imagine having someone call you from another country. I mean, obviously the country was identified but not anything remotely approaching a location. So you have to sort of marvel at the immaturity of the client, expecting someone else to help her fix a problem like this. But Eleanor somehow did it. She determined where the client was and what exactly had been lost and got the local authorities on the case, found the bracelet and billed the client for all the time. And apparently the client was happy to pay. VEDANTAM: There are sometimes clients do make requests like this, not because they are acting childish but because they actually have an ulterior motive. They actually want to test the loyalties or ability of the wealth manager. You tell the story of a wealth manager in Hong Kong named David (ph). HARRINGTON: Yes. He got a call early on in his relationship with a client in which the client said that he was in Japan. And he was meeting with a Japanese gentleman who had expressed a desire for smoked salmon and that this client had promised him, I think, a thousand sides of smoked salmon straight from the factory in Scotland and was now calling David saying, get me the salmon. And David said, well, I'm your wealth manager, not your fishmonger. And the client said, well, today you're the fishmonger. And so David happened to know someone who knew the head of the smoked salmon factory in Scotland. And he fulfilled the client's wish. And the client later told him, I basically made up that story. I wasn't sitting across from a Japanese fellow who wanted a thousand sides of smoked salmon. I just needed to see that you had the connections and the will to do what I wanted, when I wanted and not ask any questions. VEDANTAM: One thing that I got from your book is that there are important ways in which the very rich are very much like the rest of us and ways in which they are not. So wealthy people, unsurprisingly, turn out to have troubled marriages and wayward children, just like, you know, everybody else. But wealth, you argue, can compound those challenges. HARRINGTON: Well, apparently it's not uncommon for the wealth manager to be asked to find or recommend rehab facilities for kids. Or a parent will ask a wealth manager to break some bad news to the next generation - to his or her own children. Sometimes the wealth manager has to broker a truce between feuding family members. Say one family member feels that they've been done - done by unfairly in the inheritance plan and has to be somehow brought back in so that they don't sue the family. The big risk here is if you have a disgruntled family member who sues, the lawsuit process in many countries makes public many, many private documents that would reveal the extent and nature of a family's wealth, all of which have been carefully guarded secrets. VEDANTAM: My guest today is a sociologist, Brooke Harrington. She spent years trying to understand the lives of people who are so wealthy that they're able to circumvent the constraints of national laws and borders. In the course of her many interviews with wealth managers, Brooke talked to one professional in Switzerland who told her a revealing story. HARRINGTON: So this wealth manager and her boss had been summoned to a country outside of Europe by a client who was sending a private plane for them. She showed up at the Zurich airport with her boss waiting for this plane. And she discovered that she'd left her passport back home in a different purse. And she said to her boss, I've got to go home and get my passport because we're leaving Europe. And he said, don't worry about it. And she said again, no, they're going to check my passport. They won't let me leave Switzerland, much less enter another country. I've got to go home. And he said, no, really, don't worry about it. So she didn't say anything further, figuring, you know, it would be his problem if she got refused the right to leave. Sure enough, the private plane pulls up. They get on it. Nobody checks a passport. It lands in this other country outside Europe. Nobody checks a passport. They get into the private car sent by the client. They're taken to the client's home. They have their meeting. Private car takes them back to the private plane. Private plane flies them back to Switzerland. They get off the plane and go home. At no point has anyone encountered passport control or a customs agent. And this wealth manager's comment was, the lives of the richest people in the world are so different from those of the rest of us, it's almost literally unimaginable. National borders are nothing to them. They might as well not exist. The laws are nothing to them. They might as well not exist. It's potentially very, very dangerous. And I think she's right about that. VEDANTAM: You spoke with a wealth manager named Dieter (ph). I think this was a German wealth manager who talked about how his job allowed him to schmooze with powerful people, but also in some ways discover things about foreign countries before even the citizens of those countries would find out about those important things. HARRINGTON: Yeah. He was very proud of the fact that when he was working in Africa, he would have parties, and the heads of state of the various countries he lived in would come to his house. And he'd get them drunk, and they'd be spilling state secrets by 2 in the morning. And then people like Katharine Graham, the late publisher of The Washington Post, would call him up for advice. And, you know, he could speak authoritatively about at least affairs in some African countries because he'd heard it directly from the mouths of the people who made those policies. It reminds me a little bit about what we learned when the Panama Papers scandal broke. I kept seeing photos or drawings of the faces of people whose names turned up in the Panama Papers. And it was really a rogue's gallery of people from all walks of life, as well as heads of state and corporate leaders, people who you would think have nothing in common with each other. But at one level, the fact that they are so rich gives them these very important things in common. Which is to say, for them, national boundaries and laws are all optional. Taxes are optional. All forms of law are essentially optional at that level of wealth. VEDANTAM: So the picture you've painted for me, Brooke, of the wealth manager is someone who is, you know, a loyal person, an honest person, a resourceful person, trustworthy. And I fully imagine that lots of wealthy people are probably very good people, high-minded people. But I want to talk for a moment about the professionals whose clients are very clearly, you know, sleazebags. How do you, as a wealth manager, serve the interests of someone who is cheating his country on taxes, cheating on his wife, cheating his employees? How do you serve a client like that and then go home, tell yourself that you're a good person and sleep well at night? HARRINGTON: Well, some of them don't. And I think that's one of the reasons why we're seeing a wave of leaks recently, that some people are so troubled by what they're seeing that they just can't stomach it any longer. And they blow the whistle, often with dire personal consequences. About a quarter of the people I interviewed I would characterize as being conscience-stricken about the larger impacts of their work. And they had a range of strategies to reconcile themselves to the implications of that for their own conscience. One of the ways that they dealt with it was to encourage their clients to donate to charity to offset the negative impact of depriving the state of revenues. Other people I interviewed, including one gentleman in Panama City, said he would actually lecture his clients on the theory and practice of inequality in the world. And he would point out to them that as they sat in his office in Panama City, a couple miles away people were living in cardboard shacks and had no access to clean drinking water. And what did the client think about that? Now, that may seem mild. But it's a fairly risky strategy to pursue. And, you know, frankly, most wealth managers are replaceable. There aren't a lot of them in the world. But if you find one a little too in-your-face, you could always go get another one or get another one within a different company. VEDANTAM: I think a lot of people have impressions of the lives of the very wealthy and imagine what life must be like when you're jetting around in a private plane and being waited on by service staff all the time. And I'm wondering in your conversations with wealth managers, whether any of your own assumptions or beliefs about the connections between wealth and happiness were either confirmed or challenged? HARRINGTON: I was struck by a man I spoke to in the Channel Islands who talked about how suspicious wealthy people are. It jibed with some things that I've seen personally. And what he said was when you're really wealthy, it's not uncommon to have the experience that everyone is out to get a piece of you. It's like what happens to lottery winners. All sorts of so-called relatives come out of the woodwork asking for loans, asking for help of some sort. Con artists come out of the woodwork looking to get a piece of you. But that's what happens throughout the lifetime of wealthy people. And so it breeds a kind of suspicion. Why do you want to be my friend? Why are you being nice to me? Are you just trying to get me to give you something? And you can see how that would lead, at the extreme, to a sort of Howard Hughes-ian (ph) retreat or isolation from people. Because if you can't trust anyone, why bother? VEDANTAM: I mean, the sad thing that you're saying is that the wealth manager might end up being perhaps among the very few people that a rich person can trust. HARRINGTON: Yeah. I think that seems to be a common story. It's wealthy people and their servants. It almost comes to the point where you can - if you're a wealthy person, you are more trusting of the people you pay to be in your service than the people you don't pay. Because with your family, you might have sort of a King Lear problem. You know, which of my children actually loves me, and which are out to get something from me? But at least when you are having a transactional relationship with an employee, at least the boundaries there are clear. You're paying them for certain services. And you can assess whether they are giving you those services at the standard you require. If they're not, you fire them. If they're doing a good job, you keep them on. There's a simplicity to that that is not present in emotional relationships. VEDANTAM: Brooke Harrington is a sociologist at the Copenhagen Business School in Denmark. She's the author of the book "Capital Without Borders: Wealth Managers And The One Percent." Brooke, I want to thank you for talking with me today. VEDANTAM: This episode of HIDDEN BRAIN was produced by Jenny Schmidt, Renee Klahr, Rhaina Cohen, Maggi Penman, Chloe Connelly, Chris Benderev, Parth Shah and Laura Kwerel. It was edited by Tara Boyle. Our team includes Thomas Lu and Camila Vargas Restrepo. You can find more HIDDEN BRAIN on Facebook and Twitter, and listen for my stories on your local public radio station. If you liked this episode, please make sure you're subscribed to our podcast. And please tell one friend who might enjoy the show. I'm Shankar Vedantam. See you next week.